You’d think that buying marketing automation software (like HubSpot) will help simplify and grow your business, right? After all, isn’t that the goal of every type of software automation? To automate tasks in your business, so you can scale and grow? I’m going to tell you the story of how I fell in love with marketing automation software, like HubSpot, then fell out of love with it all, and why it happened. Here’s what I loved about it all. I fully embraced the concept of creating marketing that prospects and businesses would love. I was infatuated with the thought of leveraging a software tool to promote great content. I adored the notion of using marketing automation to positively impact other small companies, medium-sized businesses, and marketers. But I was naive to how it all worked. All I wanted was a tool that could make my life easier, show the ROI of good sales and marketing, and showcase data that could knock the socks off business owners, managers, and entrepreneurs. Improve the flow of leads, quality of our marketing/sales qualified leads, and communication of leads with the sales teams. Manage my company’s brand reputation through online listening tools. Work with a platform that had experience in working with B2B software-as-a-service companies, as well as work with a platform that understood my persona. Manage sales related landing pages, service landing pages, content creation, email marketing campaigns and customer lists. Manage and review website analytics. Improve the SEO/SEM value of all websites through a robust keyword research tool. Manage web assets like e-books, case studies, and industry influencing white papers. I was sold on HubSpot’s platform and my expectation was their marketing automation software would completely enhance the marketing inside the scrappy start-up, where I was the head of marketing, but it didn’t. After all, I thought, goal of marketing automation software is to automate your marketing, isn’t it? Now that you know a bit about my story, let me point out one caveat. The caveat is this: you still must do tons of work in creating the content that feeds your marketing engine. There’s still lots of human labor involved in developing workflows that complete the process of executing your Inbound and content marketing strategy. Developing and executing your Inbound strategy is not HubSpot’s responsibility, nor the responsibility of any marketing automation tool. This should not be the expectation. You should never buy something based on hype, or because it’s popular. You should purchase a business automation tool because of the value it offers your business. Be careful you don’t get sucked into the hype of marketing automation. 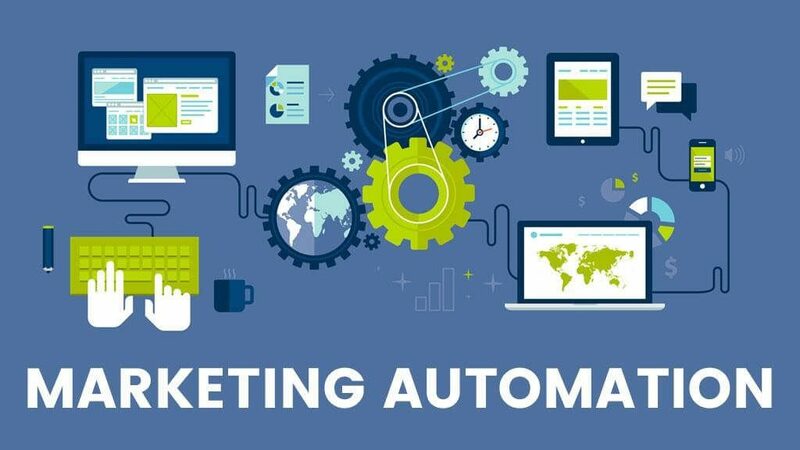 You should avoid buying business automation tools because your peers are buying them, and instead invest in marketing automation software because it will help your business grow and add value through efficiency. So, to help you understand the power of marketing automation and HubSpot, not only the hype, I’m going to give you the inside scoop from someone who’s spent hundreds of thousands of dollars in purchasing it, then canceling it all. There’s four pro’s I’m going to highlight that made me fall head over heels in love with HubSpot. Once you buy their software, you need to implement it correctly, so you get the result you’re expecting. To do that, I highly recommend HubSpot’s classroom training. It’s fantastic and their trainers are the world’s most helpful people. I attended multiple training’s in Cambridge, Mass (HubSpots HQ) and spent hundreds of hours using it and analyzing it. Classroom training is in-person training at the HubSpot HQ in Cambridge. They offer online courses that are included with your subscription, but classroom training is on-site and in person. Here’s HubSpot’s list of classroom training. Their website lists each training course at $1000, but these are negotiable. You’re responsible for all travel costs, of course. As for consultant training, HubSpot offers a service where one of their team members will coach your business by physically visiting your office. The price starts at a range between $350-$1500 depending on the service you choose. Bottom line: there’s a lot to this software and it’s not simple to learn and implement. Purchase all the training you need to help you organize and implement it correctly. Otherwise you’re just wasting money. Having one place to manage every aspect of your marketing is awesome. Having one place to login, without 17 different sets of login credentials, is pure bliss. One place to review your marketing data from your email campaigns, social media projects, and landing page metrics, all on the same dashboard, is fantastic. You can even connect Google Analytics to their dashboard, which was easy to do, so you can see website data, as well as all the other data from your marketing events. As a marketer, having to toggle between dashboards is wildly inefficient. You waste a lot of time trying to keep track of all your data. From an technology perspective, I loved the single sign-on and loved having instant access to our data. HubSpot was great because it allowed you one portal to manage all this data. HubSpot’s social media tool nothing short of amazing. The thing I loved about its functionality is it allowed me and my team to manage, publish and monitor all our social media accounts, from one place. No more bouncing back and forth between four and five different dashboards. As a bonus, I could see my competitors social media metrics, see what prospects were saying about my brand, and even influencers in my industry. Other social media tools I’ve worked with don’t have a monitoring functionality to them nor do they possess the analytics as HubSpot does. HubSpot’s social media tool does so much more. HubSpot’s marketing library is out of this world. The most impressive part of the HubSpot subscription was the thousands of easy-to-use templates allowing me us to create excellent marketing collateral. Their library is extremely intentional in helping your business create things like email campaigns, case studies, e-books, and the like. You name it, and they’ve got it. To hire a design firm or ad agency to custom create these templates would more than likely cost your company thousands of dollars. There’s a catch, however: these templates are just design templates. You and your team need to actually create the content that goes into each of these design themes. And this is critical to understand. In creating and executing your marketing strategy, you’ll spend most of your time on creating the content that feeds your marketing automation tool. 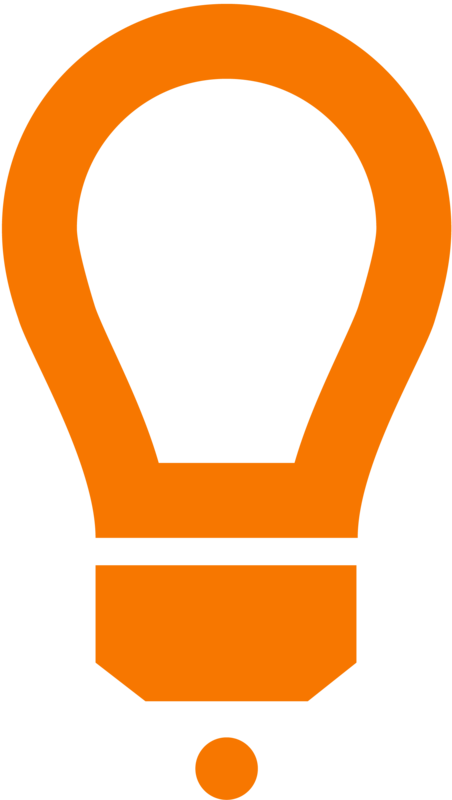 HubSpot won’t help you with the hard work of developing your Inbound or content marketing strategy. You either need to hire great copywriters to create content that’s inspiring to your audience (I call it a persona) or outsource this function. A marketing library is great, but someone still needs to lead your marketing efforts and project management the execution of it all. Your inbound and content creation efforts need to be a rare combination of helpful, compelling and persuasive. Their marketing library, while jaw-dropping and a bit overwhelming, isn’t plug and play. Wouldn’t it be great if marketing was that easy? Let’s talk about the opportunity for improvement of marketing automation, as there’s a few big ones. One shortcoming (and it’s a major one) of HubSpot is it doesn’t play nice with other software’s, out of the box. To get the true value proposition, you need to run 100% of everything you do in your sale and marketing through HubSpot’s platform. (or any marketing automation platform, for that matter) When you do this, the marketing automation software becomes sticky, which means you’ll never leave them because of the pain of leaving their platform. But I’ve never heard of a marketing department that runs 100% of everything through only one tool. Have you? The value proposition for marketing automation software, like HubSpot, is you need to build your website in their CMS, create your copy in their CMS, and run everything through HubSpot, otherwise you won’t get the perceived value. I’ll be the pragmatic marketer and say that I don’t think it’s realistic to believe you’ll be able to run all your marketing, as well as your business operations, through one software system. As a matter of fact, I don’t think I know of a single company that doesn’t use multiple systems in managing their business, and their marketing. Businesses, like yours and mine, need the flexibility that marketing automation and HubSpot don’t provide. For example, let’s say you use WordPress as your CMS and website platform. (it doesn’t matter if your WordPress site has 30 pages or 3,000 pages) And let’s say you want the forms on your site , which are critical in capturing contact info from customers and leads, to integrate into the form plugin through your WordPress site and HubSpot. Did you know that they don’t integrate automatically? They can work, but adjusting those integrations will cost you. The requests, like these, cost me about $200 dollars per customization, to all the different design and form templates. Lastly, don’t forget your CRM or PSA software. If you want your CRM to integrate into HubSpot, rest assured it’ll cost you about $10,000 to $20,000 dollars to completely integrate these two systems. Not to mention, you’ll need to have someone to project manage this project and execute it, so it works correctly. This is a really important point. If you’re using Salesforce, ConnectWise, Autotask or some other CRM/PSA software, you need to integrate these into HubSpot. In order to drive efficiency, you’ll want to see and measure your marketing campaigns, follow up with your sales team, and track ROI. Shouldn’t automation actually automate, through integrations that actually integrate? HubSpot will charge you an arm and a leg the bigger your email lists become, and how you manage your email marketing automation is a bit tricky. Did I mention that HubSpot charges you the more contacts you put into it? With their email campaigns, be prepared for some frustrations when setting up workflows, that are based on conditional logic. Compared to a an email marketing service like Mailchimp, HubSpot’s email functionality can be confusing. Setting up a one-time email campaign is easy but anything done once is a waste. Ideally, you need to be consistently dripping on your customers and prospects through strategically created email campaigns, like drip campaigns or autoresponder campaigns. Creating these was a bit tricky and managing the lists and email workflows for follow-up took way too much time. I tend to measure my marketing relationships and software experiences based on how easy they are to work with. If you’re difficult to work with, I’ll pass on working with you. That said, the billing component was interesting with HubSpot. I constantly felt like I had to jump through hoops to pay the bill. When I set up automated billing with a company credit card, often times I’d get a notice that I’d have to take some sort of action, or login once a quarter to “fix” something that wasn’t triggering the accurate payment. Isn’t the point of setting up payments automation to avoid having to take action? This wasn’t a huge issue, but it definitely was mildly annoying. HubSpot is the perfect tool for any marketer running a nimble sales and marketing team, where creating and executing a bigger strategy is paramount. Understand however, there’s lots to it. I’d highly recommend HubSpot if you’re going to use marketing automation as your CRM, your website CMS, and marketing automation purposes. But, if you’re going to use it along with multiple other systems, then be prepared to either spend some money for custom integrations or be ready for some inefficiency.